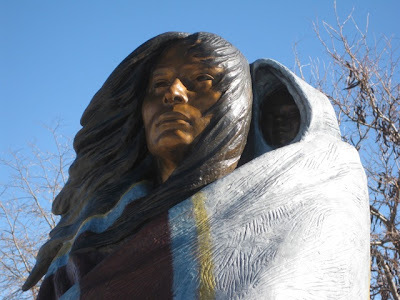 Even though I featured this sculpture previously (2008), its transformation is truly amazing. 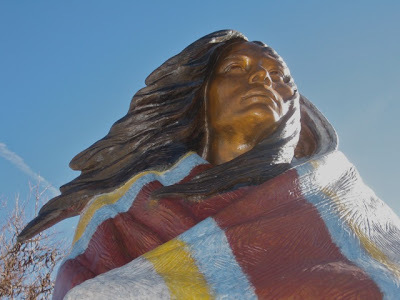 Central Wyoming College planned the makeover around the dedication of a new building, an Inter Tribal Center. While the building was being constructed, the statue was removed from its pedestal and taken to be refurbished. Central Wyoming College dedicated the Inter Tribal Center in the Fall of 2010, and the statue was moved very near the building. It no longer has a pedestal but stands at ground level, making it much easier to see and appreciate. 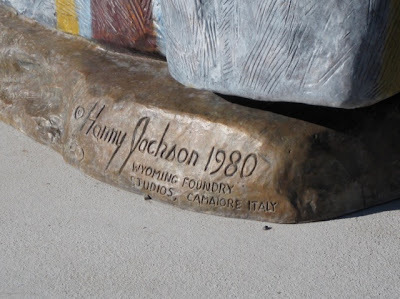 According to the Art Inventory database, the statue was originally dedicated in July 1981. 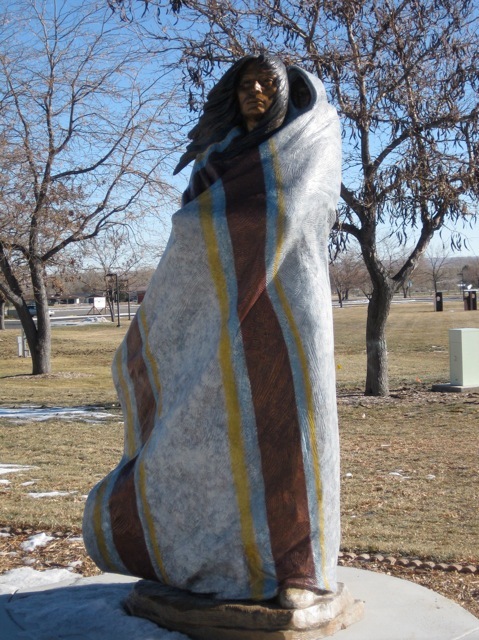 The statue is no longer surrounded by trees and looks directly west toward the Wind River Mountains. Even the baby in the cradle board can now be seen. 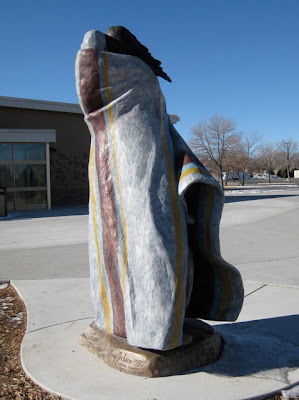 I am pleased that CWC had this work of art recolored, restored, and relocated: it definitely needed a facelift. 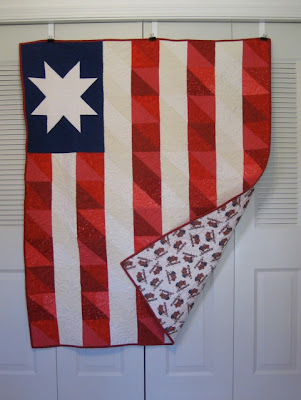 By using the scraps from Freedom Flags and a bit of extra yardage, Scrappy American Squares was started and finished on Thanksgiving Day. 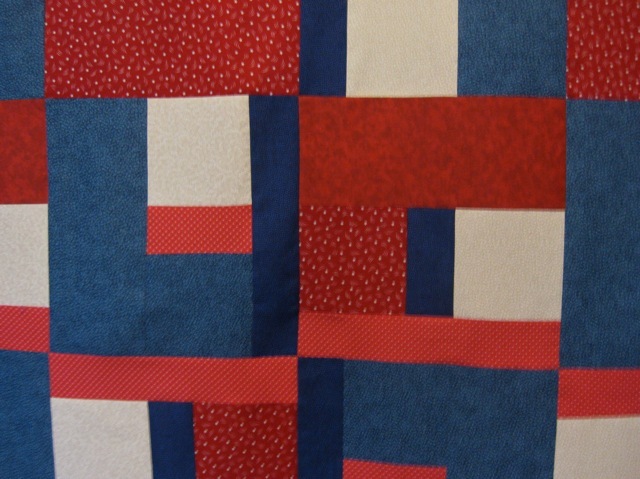 The pattern American Squares by Rita Fishel is designed to use just three fabrics, so making it scrappy was a risk. 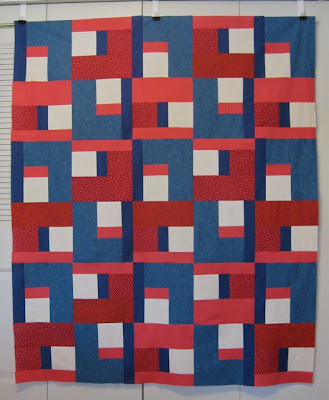 I like the "modern" feel of the quilt top. 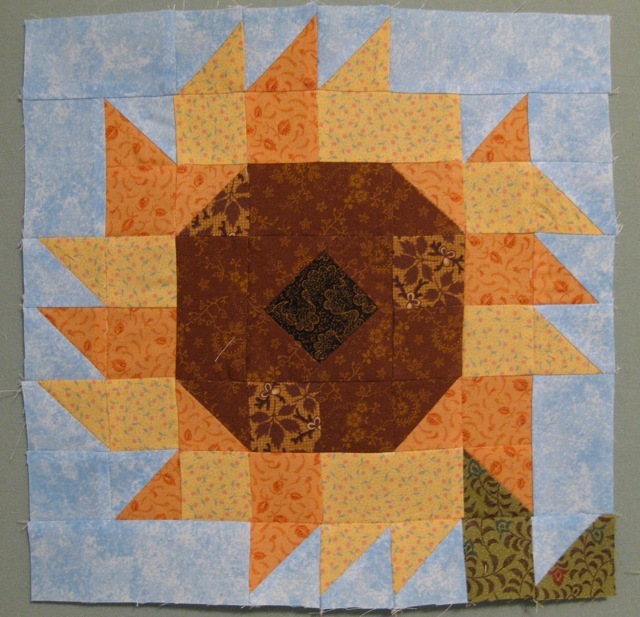 Featuring 11-inch blocks, the pattern is quick and easy - a perfect one for a beginning quilter. Scrappy American Squares will be sent to a volunteer Quilt of Valor machine quilter after the holidays, and the finished quilt will be sent to Alycia for distribution. 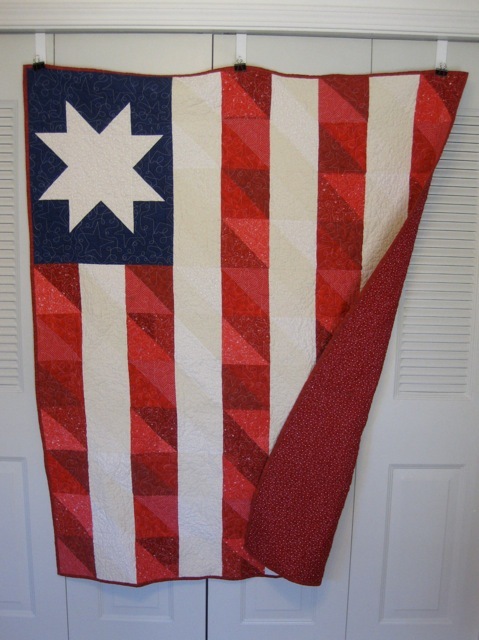 Update: Check out the post on BunkHouse Quilting about this Quilt of Valor. Ann is a talented and gracious quilter. If you need a someone machine quilt, I suggest you check out Ann's web site and blog. You'll be impressed with her work. 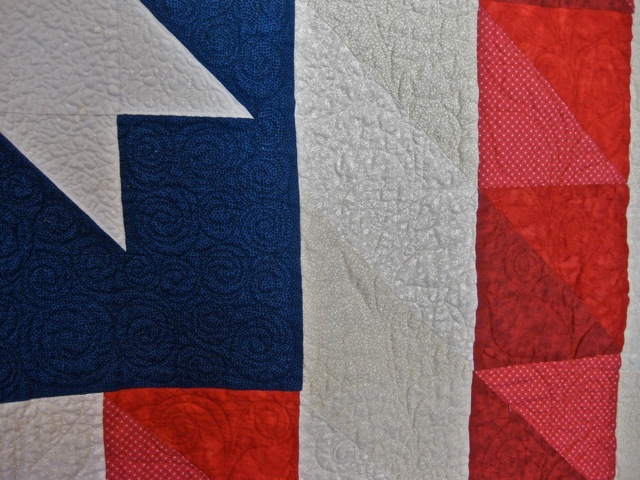 Scrappy American Squares featured on Alycia's blog and ready for distribution. This block was easy to make, but it contains a LOT of pieces, most are 2-inch squares with a few rectangles. This is by far my favorite block of the series. 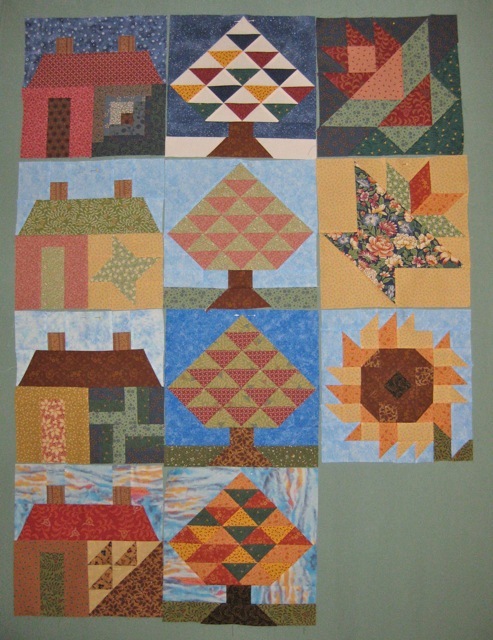 One more block and the Quilter's Neighborhood will be finished. The shop owner doesn't have any settings in mind for the blocks - she suggested seasonal table runners, but I won't be using them for that. Any ideas on how to set these blocks into an actual quilt? 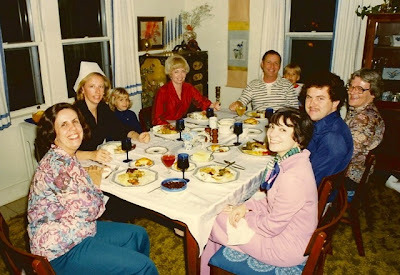 Joann and Don Deaton shared their holiday dinner with six teachers. Joann was my "sponsor" and mentor my first year in Japan: she helped me tremendously. She assisted in finding off-base housing and a car, she helped me learn military protocol and lingo, she dried many, many tears. She was a real blessing to me because I would not have made it through that first year without her. 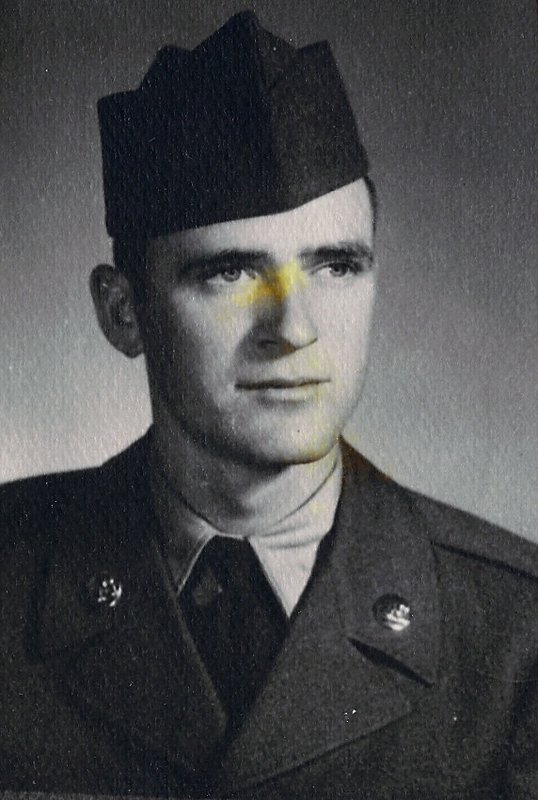 Joann's husband was an Air Force Major, and she was a high school teacher. Joann and Don had two young children: Donna Rae and Bill. Those enjoying the Thanksgiving meal were: Joann Deaton (at the foot of the table), Nancy Vandenberg, Donna Rae Deaton, Peggy Vaughn, Don and Bill Deaton, Nancy Stearns, Roy Sargent, and Marie Fricchonne. John Hedberg (Nancy Vandenberg's husband who was pictured in yesterday's post) took the group photo. Cynthia (no blog) brought several bags of yarn to a recent knitting night. One of her friends no longer wanted the yarn and unfinished project so she donated it to the group. I took two partial skeins of Red Heart to make a baby blanket; thus, Mountain Meadows was created. I'll ask someone from the Western Region Oddball group to add a border, and the blanket will be ready for a child at the Seattle Children's Hospital. I knit the blanket with 110 stitches on size 8 needles, using my favorite Checks and Ridges stitch. 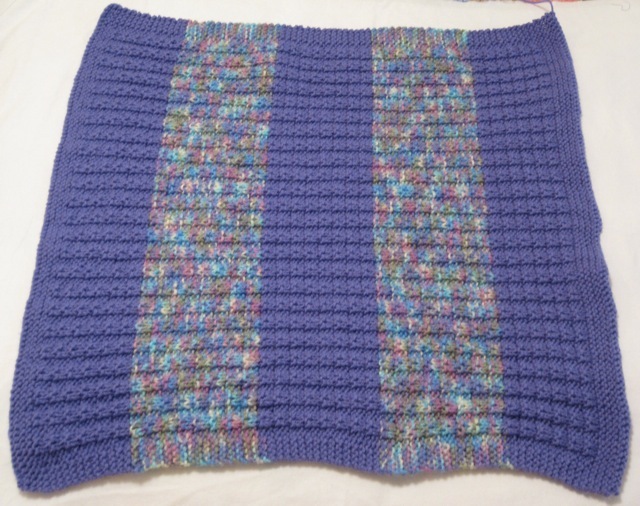 Each section is 5 inches, so the blanket is 25 inches square. I used all of the variegated yarn and had just a tiny bit of the purple skein remaining. My project for the weekend is to eliminate several small balls of yarn. 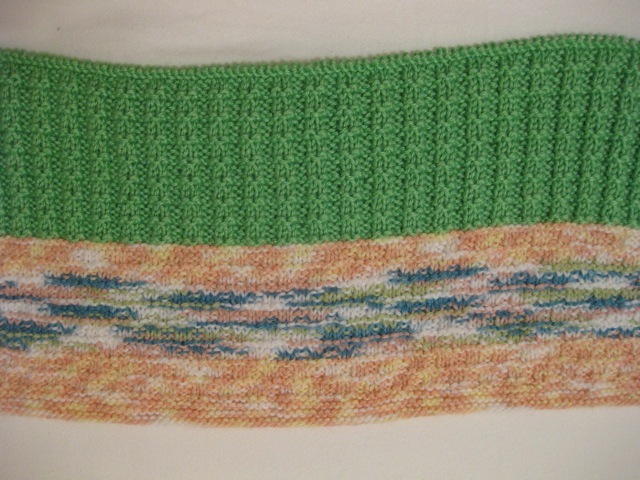 Sunny Baby is a Western Region Oddball Knitters Preemie Blanket. 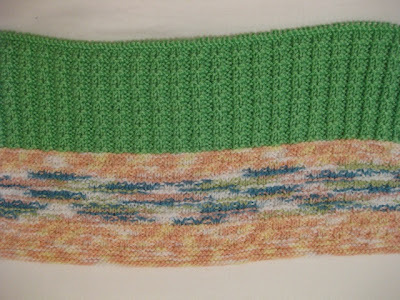 Knit with size 6 needles with DK weight yarn and 108 stitches. When finished, Sunny Baby will have a total of five 4-inch sections and a border and will have travelled to several states. It started in Texas and will travel to Idaho for the third section. I used the Checks and Ridges stitch to complement the Purled Ladder used in the first section. The replacement plates arrived on Thursday, and they are perfect. I will definitely be more careful about putting anything in front of the door again. 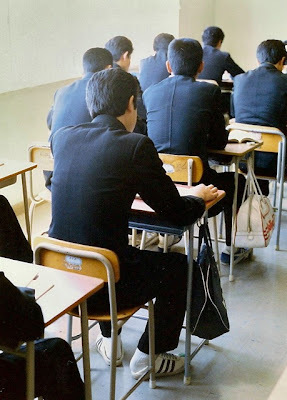 School uniforms for boys were similar to business suits. Notice the hooks under the desks, which allow the book bags to be up off of the floor. The student in the foreground obviously wanted to be able to slip his shoes off and on quickly. I've been reading Made to Crave Devotional, and today's devotion was about perceived body image and how women, in particular, are harsh critics of their own bodies. 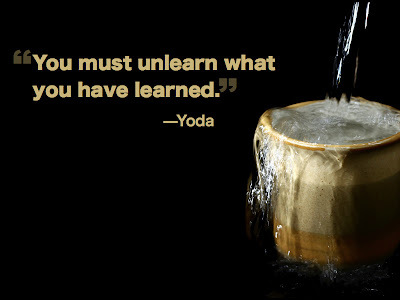 As I read, I thought about how many times I put myself down. 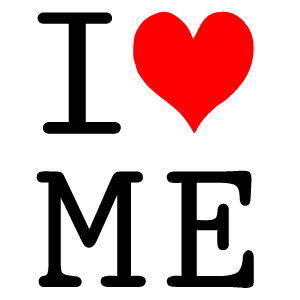 If someone else said those things about me, I would be angry, but I allow the negative self-talk. Obviously, I need to "unlearn" what I have learned and accepted all my life. At the end of this devotion, author Lysa TerKeurst states, "Ralph Waldo Emerson once said, 'Though we travel the world over to find the beautiful, we must carry it with us or we find it not.' I’ve found my beautiful. And I like my beautiful. I don’t have to hold my beautiful up to other people’s bodies with a critical eye of judgment. I pray that you see your beautiful today and enjoy the blessings of the body that God gave you." Repeat this exercise daily for a week. I have only myself to blame for breaking these Bing and Grondahl Mother's Day Plates. It makes me sick to think about how it happened because it could have easily been prevented. 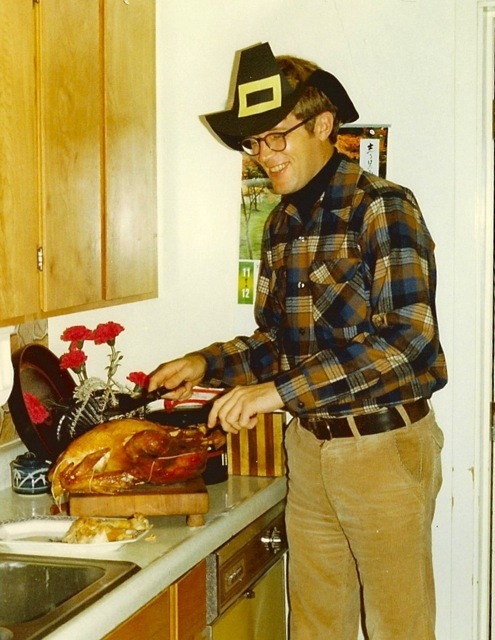 As soon as I opened the door, I remembered the flag pole, but it was too late. The swing of the door and the force behind it sent the pole toward the wall and into the plates. When I heard the crash, I knew immediately what the pole had hit. 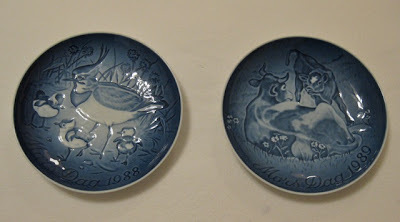 In 1970, I started the plate collection for my mother, and later found and purchased the first plate in the Mother's Day series for her. 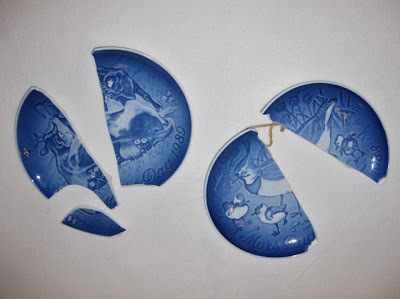 The two plates that broke were the last ones I gave Mom, so a part of my heart broke along with the plates. Fortunately, I found replacements at Replacements, Ltd., located in North Carolina. The "new" plates won't carry the same sentimental value for me, but at least the first 20 years of the Mother's Day series will be intact. Remember Replacements, Ltd. if you break a valuable piece of china or crystal and want to add to your set. The company has a large collection of china, crystal, silver, and collectibles for sale, but they also purchase items. 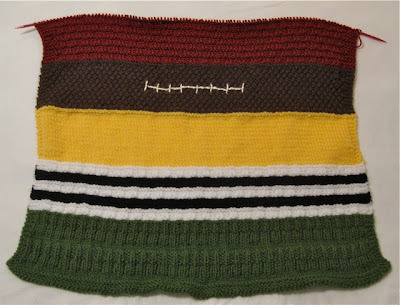 Gridiron Glory (a Western Region Oddball Baby Blanket) needed a pinch knitter, so I volunteered to add a section. I used Caron Simply Soft (Autumn Red) and the Purled Ladder stitch. 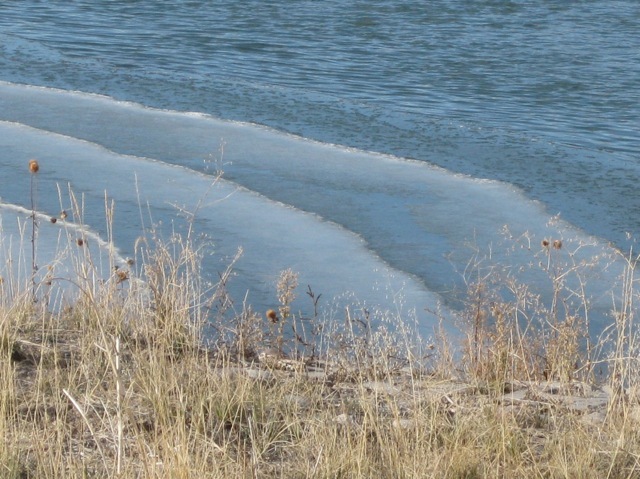 Last week, I noticed the shallow areas of the Wind River near Kinnear are slowly building ice. From the bridge, ice ripples were clearly visible. 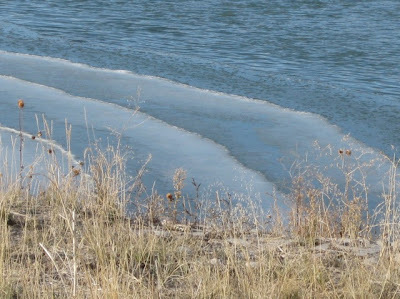 Temperatures continue to drop in the evenings and daytime temperatures are cool, so ice will gradually build toward the center of the river. 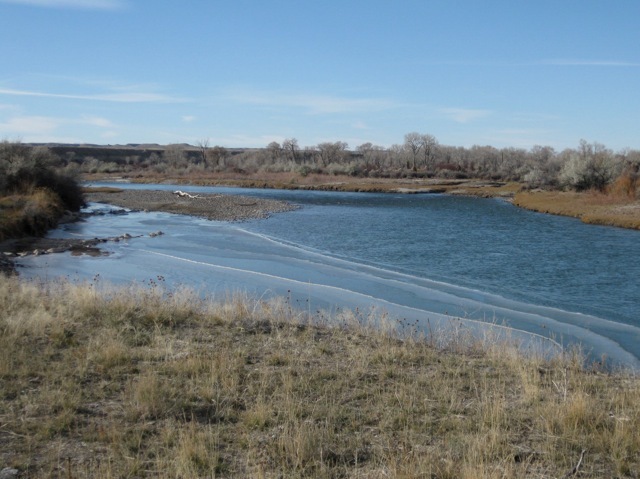 Usually the river is not completely frozen since it moves quickly in the center. The principal of the agricultural school (gentleman in the dark suit) shares information about his school and students with a group of visiting teachers from Robert D. Edgren High School in Misawa, Japan. 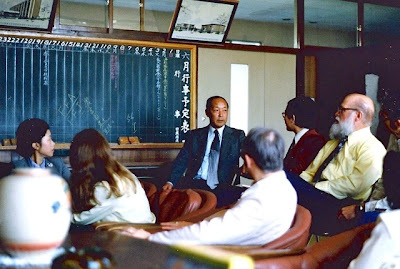 Acting as our interpreter was the man in the rust-colored sweater, the Japanese teacher at Edgren. Edgren's principal was the man with the white beard. Notice the calendar on the black board. The dates are listed right to left, and the information for the dates is written top to bottom, which is how the Japanese read and write. Japanese books were read from the back to the front. 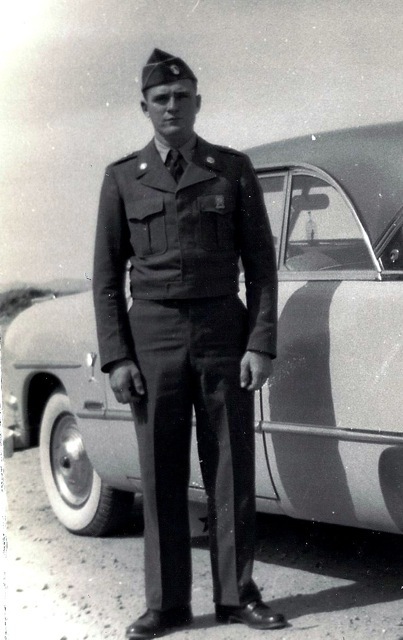 Please hoist a flag tomorrow in remembrance of all the Veterans (past and present) who give so much to this country. 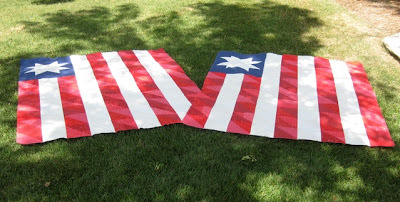 If you don't have a flag, purchase one and fly it often. You'll be surprised how good it makes you feel. Honor the troops by showing the Colors they proudly serve. Chocoholic was started by my friend, Cheryl in August. 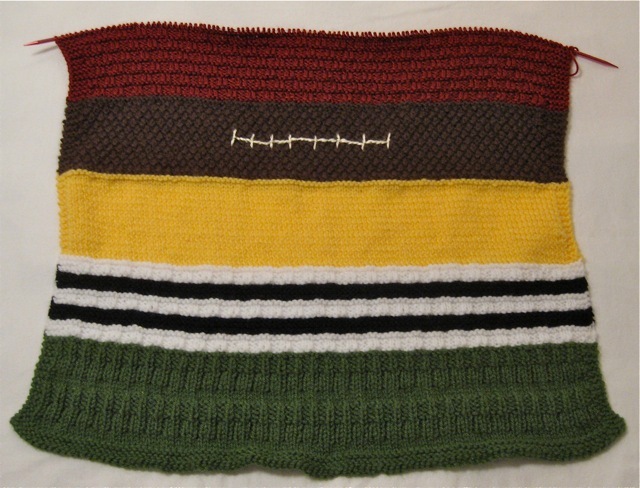 Even though I had taken a photo, I somehow overlooked posting about this Western Oddball Baby Blanket. 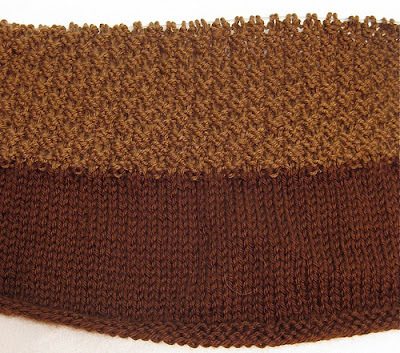 Cheryl's first section was knit to resemble fudge, and I added the second section, using the Box Stitch, to represent chocolate chips. Some favorite songs from these artists include: "Day by Day," "I'm in Love with a Big Blue Frog," "Watching Scotty Grow," "She's a Mystery to Me," "You Never Miss a Real Good Thing," and "Blue on Blue." The Mac Davis and Top Star Festival albums were produced by K-Tel. 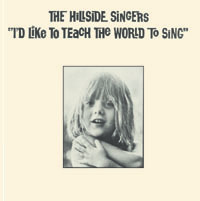 I remember ordering them after seeing the advertisement on TV, probably one of the first companies to market music that way. I still have many albums to convert, but the stack is getting smaller. The two flag quilts are bound, labeled, laundered, and making their way to Colorado, so Alycia can distribute them to the Wounded Warriors at Fort Carson. Julie used some swirls around the large star, a small meander inside the star and a feathery plume on the stripes. 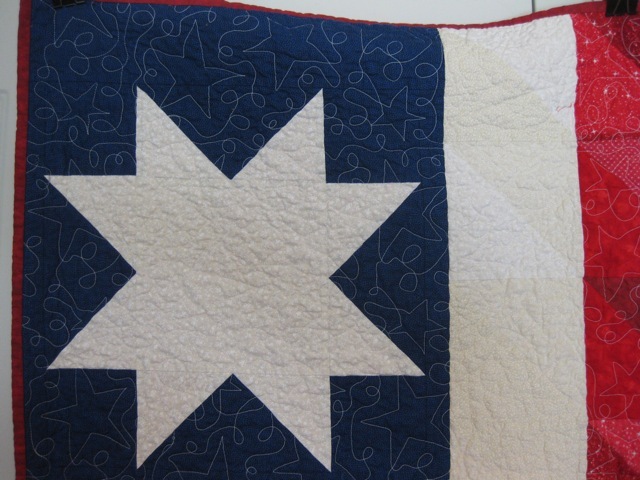 This one was quilted by Nita V. (Ogden, UT). Nita used an all-over star pantograph on the quilt. Both quilts crinkled beautifully after they were washed and dried. I am very thankful for the generosity of Julie and Nita, who volunteered to do the longarm quilting on these two Quilts of Valor.